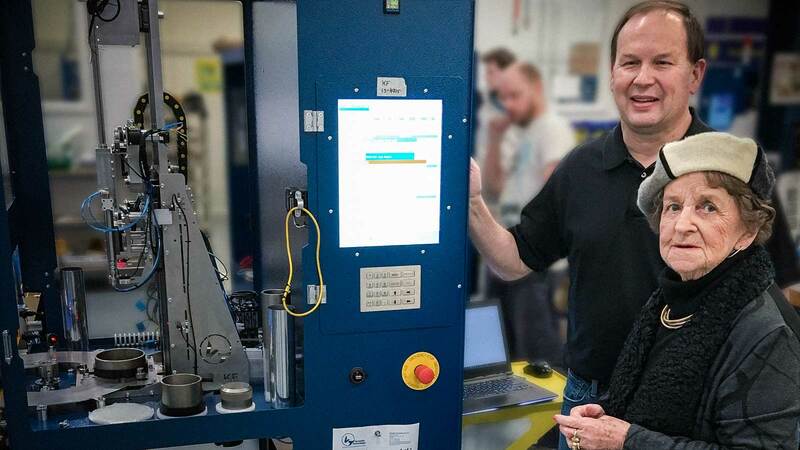 Coincidently, Versatile Technology’s own matriarch, Kath Fleming, had also popped in at the same time to cast her keen eye over our latest automatic can gauge that is aptly code named ‘KF148’ in her honour. Kath takes great interest in Versatile Technology, where her daughter Anne, is a major shareholder. Under intense scrutiny the gauge measured up satisfactorily to both of their requirements. The afternoon continued with Don and Kath discussing the upcoming U.S. federal elections over a delightful cup of tea.